The Education for Homeless Children and Youth program (EHCY) provides formula grants to state educational agencies (SEAs) to help ensure that all homeless children and youth have equal access to the same free and appropriate public education, including public preschool education that is provided to other children and youth. It is the only federal education program exclusively focused on homeless children and youth. This book provides an overview of the purposes and program structure of EHCY; the history of the program’s funding; issues that have arisen regarding the implementation of ESEA Title I-A set-asides for homeless students; data on the number of LEAs receiving EHCY grants and on the characteristics of homeless students; and a discussion of proposed changes to EHCY included in bills introduced in the 112th Congress to reauthorize the ESEA. 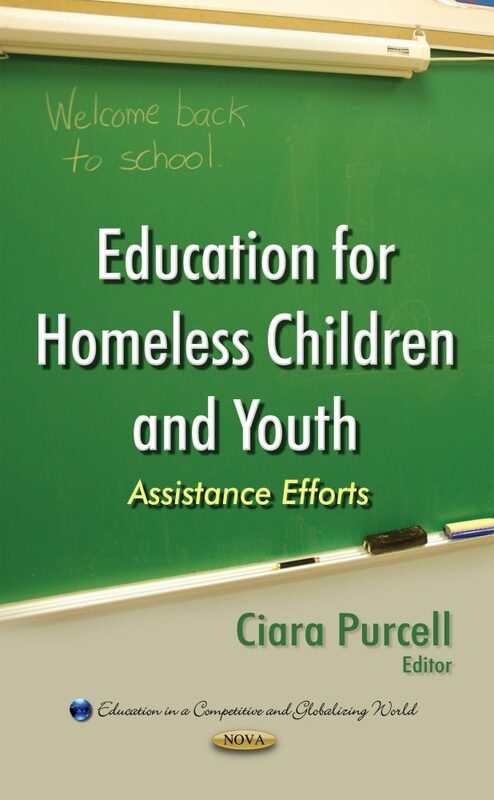 The book also describes the challenges in defining and counting the runaway and homeless youth population, as well as the factors that influence homelessness and leaving home.